How Long Should a Marketing Survey Be Online? The Web is an amazing platform to gather knowledge and insight from customers and prospects. Web analytics, social media monitoring and webinars can all be important ways to gather more intelligence. Yet sometimes you have to get straight to the point and ask your audience directly for their input in the form of an online survey. 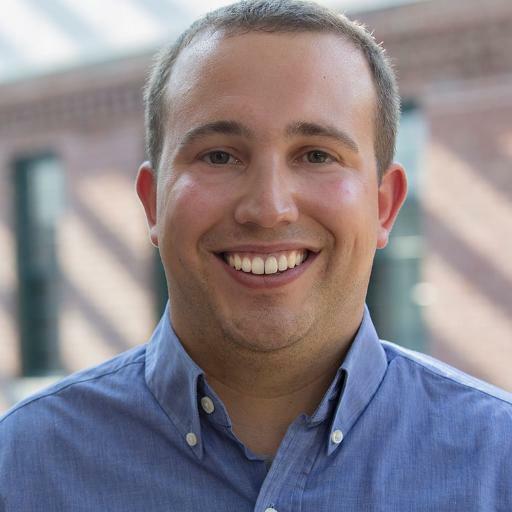 When it comes to online surveys, marketers have to walk a fine line between getting all the information they need and asking too many questions and thus preventing respondents from completing the survey. Online survey service Survey Monkey recently released some interesting data about survey completion. Survey Monkey looked at surveys ranging from 1-30 questions from 100,000 users. This research uncovered some interesting data. While many takeaways can be drawn from the data collected by Survey Money, one that intially jumps out is that more questions result in less thought per question. 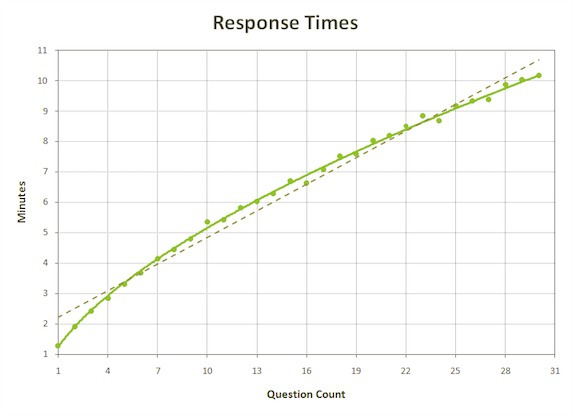 As the surveys get longer, the time spent answering and thinking about each question decreases. To be clear, many factors such as the types of questions asked can impact the amount of time needed to answer a question. However, this data does serve as a guideline for marketers looking to receive in-depth and thoughtful answers to survey questions. 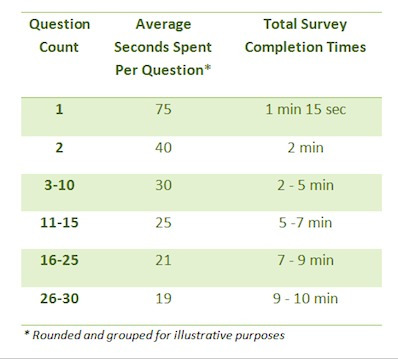 According to Survey Monkey, "The decreased time spent answering each question as surveys grew in length, we saw survey abandon rates increase for surveys that took more than 7-8 minutes to complete; with completion rates dropping anywhere from 5% to 20%." 1. Ask Only For What You Need - As a marketer you want completed surveys. The best way to ensure that you get the most completed surveys is to make sure that you aren't asking for anything extra. Don't let another department slip in another questions or two because you are "sending it anyway." Keep your questions brief and focused. 2. Keep Questions Simple - The amount of questions isn't the only factor that prompts people to drop your survey. Additionally, you need to keep questions as simple as possible in order to make sure that your respondents can stay focused on your answers. 3. Test Different Lengths - Different audiences respond in different ways. Test different lengths and types of surveys with your prospects and customers to understand what methods they respond positively to. Have you seen these same trends in the surveys you have conducted?